The Himalaya Drug Company, India’s leading Herbal Health and Personal Care Company has announced the launch of a cleft lip initiative –“Muskaan” in association with Smile Train India, an international NGO dedicated to spreading awareness on cleft deformities and providing free corrective surgeries for the under-privileged. As part of the initiative, Himalaya Lip Care will enable a minimum of 100 cleft surgeries through Smile Train India through the first year of this partnership. So far, 55 cleft surgeries have already been completed. A contribution of Rs. 2 from the purchase of every Himalaya Lip Care product will be made towards the cause. While it’s just the beginning, Himalaya’s aim is to ensure children in need of cleft surgeries get access to treatment at the earliest, and at a tender age when healing is faster. “The treatment of cleft is hampered more due to the economic and perception constraints thus the need to provide access to free surgeries and spread awareness becomes more pressing. The launch of Muskaan and association with Smile Train is aimed at meeting these.”he further added. To put the issue under the spotlight, the company has shot and unveiled a beautiful film on the life transformation journey of Jyothi from Darbur Village, Chikkaballapur, Bengaluru who had been living with cleft for 14 years. The film brings alive the emotions and aspirations of the girl born with a cleft lip and palate as she undergoes a cleft lip surgery that gives her, her first real smile and leaves her with the promise of a better life. The renowned composer Karan has crafted the music and Sona Mahapatra has lent her soulful voice to the background score. The track has been composed by lyricist Amit that captures this real story sublimely. 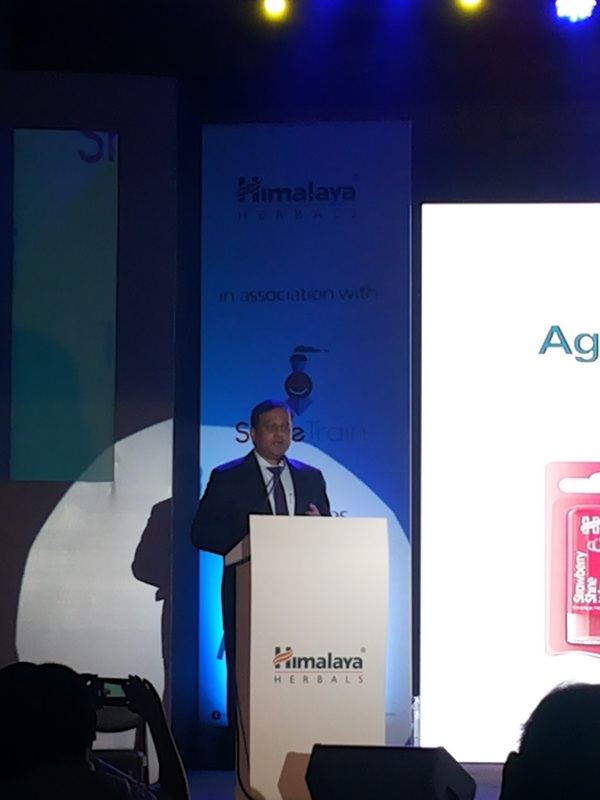 “Support from corporates like Himalaya is a critical aspect of our work. It not only helps us continue and sustain our work but enables us to extend it, add greater value to it and spread awareness on a far greater scale. We look forward to a long and mutually fulfilling partnership with Himalaya which’ll add value to both the organizations as well as our common constituency of cleft patients.” she added. Rahul Bharti, Creative Director, Roadrunner – the video production house, commented on the film, “The brief given to us emphasised on bringing alive the difference that a simple corrective cleft surgery can make in the life of a cleft patient. Simple things that we take for granted like smiling to express happiness, socializing with friends and wearing makeup to look as well as feel good, was a big challenge for this young girl and this is something we discovered in our first meeting with Jyothi. While it is impossible for a 3 minute film to do justice to her everyday challenges, we have tried to capture a glimpse of her experience and aspirations. 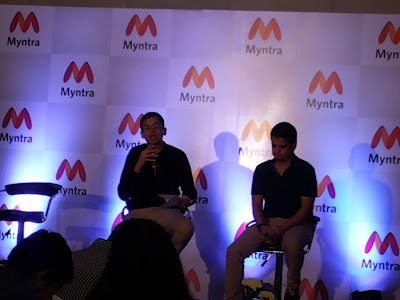 Myntra, India's leading platform for fashion brands and pioneer in m-commerce play, has clocked $800 million in annualized GMV in January 2016, taking it closer to the target of reaching $1 billion GMV by FY 2016-2017. Sales volumes for the month were propelled by growth of Myntra Fashion Brands, increased contribution of international brands including new marquee brands such as MnS, Forever 21, high growth in women's wear category and a hugely successful End of Reason sale. Also, discounts have dropped by 6% and supply chain cost reduced by 5% in the last quarter. In 2015, three key strategies were adopted which has helped the company to clock growth of 70 % YoY. First, there was a focus on brand mix that appealed to the price conscious as well as the fashion & brand conscious. Second, the company worked towards greater efficiencies arising out of increasing scale and better management of business processes. Finally, better cost management through a series of rationalization measures have ensured better bang for the buck, be it in marketing or infrastructure. The focus for 2015 was on building a large portfolio of domestic and international brands. 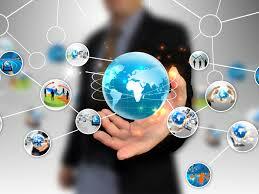 “Online fashion consumers are largely brand seeking. Brands will grow and define future of fashion. We expect the branded fashion market to grow twice as fast as the overall fashion market in the next 5 years. 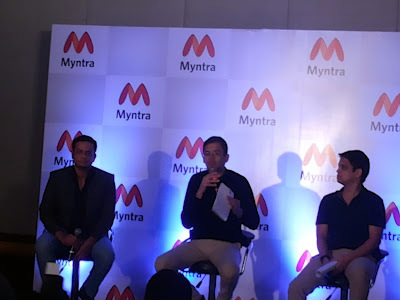 We now plan to be profitable at scale in FY 2016-17, with consistently high growth rates,” says Prasad Kompalli, Head – eCommerce Platform, Myntra. By the end of December 2015, there were over 2000 brands on the Myntra platform, of which 800 new brands had been on-boarded in 2015. The top brands for the year were Roadster, Puma, Nike, Vero Moda and UCB. The year also saw a growth in Myntra Fashion Brands, led by Roadster, which became the highest performing brand on the platform. Roadster aims to clock Rs.400 crore in 2015-16 and become a $100-million or Rs 650-crore brand by end of 2016.The in-house brands saw an increase in contribution in overall revenue to 20% in 2015. The focus area for FY 2016 is to increase contribution of in-house brands to ~25%. Currently, on Myntra there are more than 30 international brands on the platform, including Scotch and Soda, Harley Davidson, Ferrari, Desigual, Forever 21,The North Face, Timberland and Marks and Spencer out of which 25 were added in 2015 alone. The overall contribution by December end was 5%, which will increase to 15% by FY 2017. The leading international brands were Forever 21, Mango, Antony Morato, Scotch and Soda and MnS. Among categories, the womenswear category grew by 73% in 2015.In January 2015, Myntra had a total of 995 womenswear brands and 90,000 styles catering to the women consumer. A year later, in Jan 2016, Myntra has approximately 1250 womenswear brands and 141,000styles. This represents a 25% increase in brands, and a 55% increase in the women’s wear catalog. In the women's category, Western wear has been the top performing category which was followed by lingerie. Some of the key brand launches in the past one year include All About You (MFB), Guess, Label by Ritu Kumar, Chumbak, Emporio Armani innerwear, Calvin Klein innerwear, ALDO, Nine West, Accessorize, FURLA and Kenneth Cole. Menswear brands on the platform went up from 263 brands in 2014 to 419 brands by the end of 2015 and the category grew overall by 70%. Shirts, Jeans/Denims and Winter wear were the top 3 menswear products. In the menswear category, the top performing market brands were UCB, Jack and Jones, Wrangler, US Polo Assn and Levi’s. Among the in-house brands, Roadster and Mast and Harbour were the top performers.Wrogn, which was launched in February last year, is among the top 10 brands in this category. The category saw the addition of Adidas NEO,Timberland, The North Face, Columbia Sportswear- Exclusive Real Madrid, Barcelona, DC, among others. For the category, the top 5 brands were Nike, Puma, adidas, Reebok, Fila and Vans. In the sports category, products for running , training and fitness (especially those for women engaged in dance, yoga, aerobics and zumba etc.) continues to do well. Sporty lifestyle footwear and winter wear are also doing well. New categories like outdoor, skateboarding and basketball are picking up faster than other categories. The PSU bank, Syndicate Bank fell 5% to Rs 70.35 at 14:34 IST on BSE after the bank reported a net loss of Rs 119.67 crore in Q3 December 2015 compared with net profit of Rs 304.99 crore in Q3 December 2014. 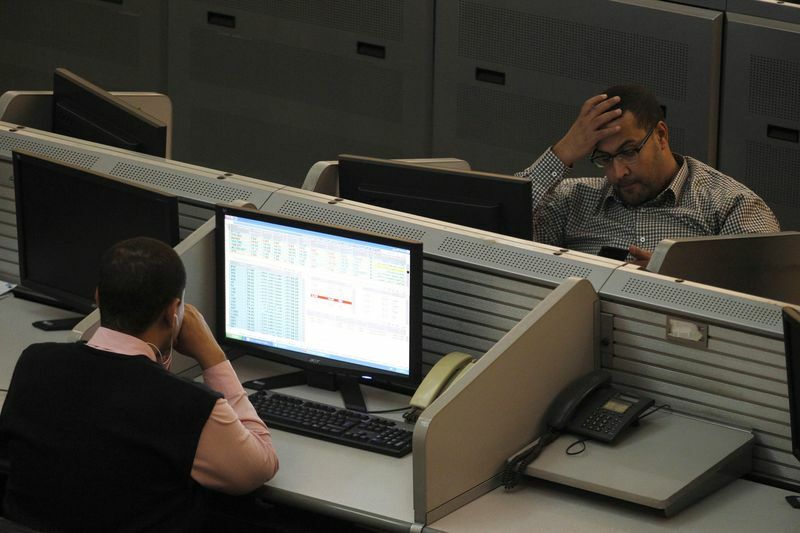 The result was announced during trading hours today, 28 January 2016. Meanwhile, the BSE Sensex was up 59.67 points, or 0.24%, to 24,552.06. On BSE, so far 9.24 lakh shares were traded in the counter, compared with an average volume of 1.61 lakh shares in the past one quarter. The stock hit a high of Rs 75 and a low of Rs 69 so far during the day. The stock hit a 52-week high of Rs 127.50 on 4 March 2015. The stock hit a 52-week low of Rs 68.50 on 21 January 2016. The stock had underperformed the market over the past one month till 27 January 2016, sliding 14.79% compared with 5.21% decline in the Sensex. The scrip had also underperformed the market in past one quarter, falling 23.82% as against Sensex's 10.13% fall. The mid-cap company has an equity capital of Rs 662.06 crore. Face value per share is Rs 10. 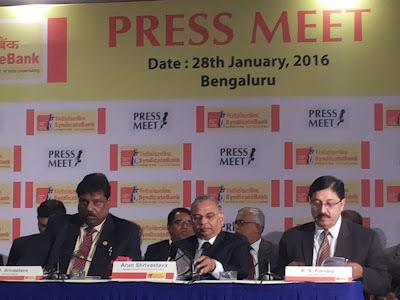 Syndicate Bank's total Income rose 4.50% to Rs 6188.25 crore in Q3 December 2015 over Q3 December 2014. The bank's gross non-performing assets (NPA) edged higher to Rs 9602.80 crore as on 31 December 2015 from Rs 7734.41 crore as on 30 September 2015 and Rs 6723.99 crore as on 31 December 2014. The bank's ratio of gross NPAs to gross advances stood at 4.61% as on 31 December 2015, compared with 3.72% as on 30 September 2015 and 3.60% as on 31 December 2014. The bank's ratio of net non-performing assets (NPAs) to net advances stood at 3.04% as on 31 December 2015, compared with 2.37% as on 30 September 2015 and 2.38% as on 31 December 2014. Provisions and contingencies rose 201.38% to Rs 875.23 crore in Q3 December 2015 over Q3 December 2014. The provisioning coverage ratio as on 31 December 2015 stood at 58.67%. The bank's Capital Adequacy Ratio (CAR) as per Basel III norms stood at 10.91% as on 31 December 2015, compared with 10.46% as on 30 September 2015 and 10.46% as on 31 December 2014. CASA (current and savings account) deposits (domestic) increased 9% to Rs 68036 crore as on 31 December 2015 compared with Rs 62445 as on 31 December 2014. Domestic CASA deposits stood at 30.22% of total domestic deposits as at 31 December 2015. Government of India holds 69.24% stake in Syndicate Bank (as on 31 December 2015). 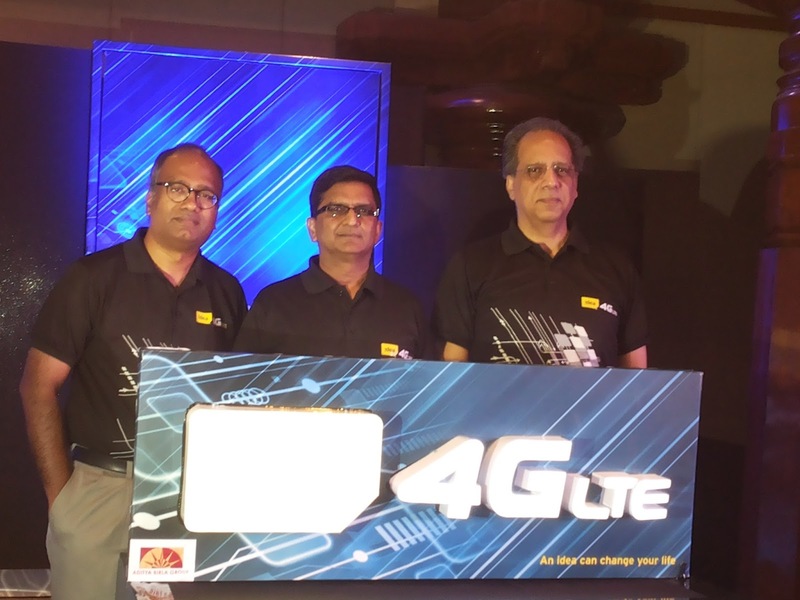 Idea Cellular, one of the largest Indian telecom operators, announced the expansion of its high speed 4G LTE services across 39 towns of Karnataka. Within a month, the company has expanded its 4G LTE service footprint to 24 districts, including major towns of Bangalore, Mysore, Madikeri, Karwar, Chikmagalur, Belgaum and Chitradurga; covering 20% of the total population of the state. The firm has initially enabled 4G equipment to over 1000 Telecom Towers for more faster and reliable services to customers in this state. In addition to Bangalore metro, Idea has today launched its high-speed 4G LTE services in other towns of Channarayapatna, Udyavara (CT), Harihar, Kunigal, Mulbagal, and Toranagal. With rapid expansion Idea will launch its 4G services in Mangalore, Udupi-Manipal, Bijapur, Bellary and 18 more towns by end of this financial year, taking the total tally to 61. Idea Cellular is one of the leading player in the country with over 8.6 million satisfied consumers in Karnataka. Idea provides extensive 2G coverage on superior 900MHz, extensive 3G coverage and has now introduced its high speed 4G LTE services with a wide network coverage. 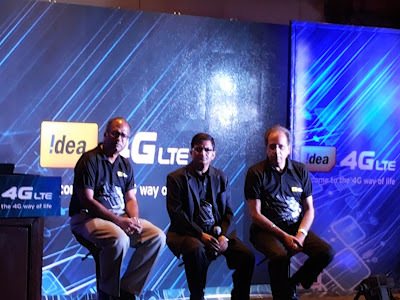 In December 2015, Idea Cellular had announced the launch of 4G LTE services in all 4 telecom circles (5 states) of South India, namely Kerala, Tamil Nadu, Andhra Pradesh & Telangana, and Karnataka. Earlier this month, the company launched services across 3 more circles (4 Indian states) – Madhya Pradesh, Chhattisgarh, Haryana and Punjab, expanding its 4G LTE service footprint to 7 telecom service areas. Idea Cellular currently holds 1800 MHz 4G spectrum in these 10 Telecom circles which cover 50% of telecom market but over 60% of Idea’s gross revenue. Additionally, Idea has recently signed an agreement with Videocon Telecommunications Limited for acquiring ‘Right to Use’ 1800 MHz spectrum under ‘Spectrum Trading Agreement’ in two of its key telecom leadership markets of Gujarat and Uttar Pradesh (West). Post completion of this transaction, 4G services will be extended to 12 service areas, covering 75% of Idea’s revenue base in the country. a) Complimentary 4G SIM card upgrade: All customers can avail a complimentary 4G SIM upgrade from Company Showrooms and leading retail outlets across 750 towns. Existing customers in key non-4G towns will also be able to enjoy Idea’s 4G services while roaming in these 4G towns by upgrading to 4G SIM cards from 28th February 2016.
b) Attractive 4G data tariffs: Idea’s 4G Prepaid & Postpaid tariff plans are priced at par with existing 3G plans. The company is also offering 4G Packs at Rs 21 upto March 31, 2016.
c) Special promotional offer for consumers upgrading to new 4G smartphones: Prepaid or Postpaid customers buying new 4G smartphones before 31st March 2016 are being offered special Double Data benefit on all 1 GB and above packs. The 100% extra 4G promotional data can only be utilized on Idea’s latest 4G LTE network. 2. Digital Content for 4G consumers: Idea, marking its first foray in the digital space, is launching an exciting assortment of Digital content in partnership with India’s leading content aggregators. a) Music: Idea has tied-up with Hungama Digital to offer a rich collection of Music content for all its consumers at a monthly subscription price of Rs. 99. Under a special offer, new 4G subscribers can subscribe to this content at just Rs. 29 per month till 31st March 2016.
b) Movies and Videos: Idea is offering a wide library of Movies and short format Videos in partnership with EROS – a leading multi-lingual film content aggregator and Movie production house - at a monthly subscription price of Rs. 49 for all its consumers. For new 4G customers, a special offer for subscription at just Rs. 29 per month till 31st March 2016 is available. c) Games: Idea will be launching ‘Idea Games Club’ powered by Opera for all its consumers from 1stFebruary 2016, at a monthly subscription price of Rs. 150. New 4G subscribers will be able to subscribe to this content at Rs. 29 per month till 31st March 2016 under a special offer. Vodafone India has deployed Cisco’s Self Optimising Network (SON) technology to deliver a superior mobile experience to its users. Cisco SON has the ability to provide improved voice call quality and reduce dropped call rates, higher data speed and better accessibility, lower network congestion through superior load balancing and better network service during mass events, the company said in a statement. It would also help in quicker automatic site deployment and reduced operational costs through automation of engineering intensive tasks associated with running the network, it added. 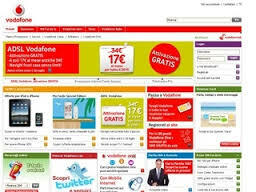 “This initiative follows our strategy and commitment to deliver an enhanced & differentiated customer experience. 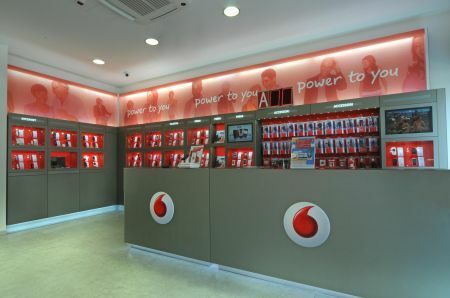 We are confident that our ongoing fruitful relationships with Cisco will help us delight our users with a great quality of both voice and data services,” said Vishant Vora, Vodafone India’s Director of Technology. In order to encourage domestic manufacturing of personal computers, industry body MAIT (Manufacturers’ Association for Information Technology) has sought the extension of mobile phone-like differential duty structure, on IT hardware. “We have requested the Centre to extend differential duty structure for IT hardware, specifically laptops, desktops, wired and wireless customer premises equipment (CPE), and e-Readers to be at par with smartphones and tablets,” MAIT Executive Director Anwar Shirpurwala told the media. 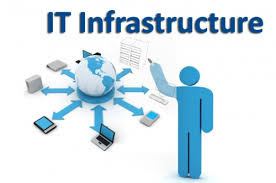 MAIT represents leading IT hardware companies like Dell, Lenovo, HP, Acer, Cisco, HCL Infosystems, and Intel etc. The Centre, in budget 2015-16, had exempted mobile phone and tablet PC manufactures in India from payment of customs duty and excise duty on procurement of all goods required for manufacturing, MAIT said in it submission. To boost local manufacturing of mobile phones and tablets, the Centre in the Budget had increased duty benefits for domestic producers of these electronic items. Excise duty structure for mobile handsets was changed to 1 per cent without CENVAT credit, or 12.5 per cent with CENVAT credit, which gave domestic manufacturers a benefit of about 11 per cent over imported phones. The current fiscal year saw investments from manufacturing giant Foxconn in the country, while many other mobile phone companies like Gionee, Xiaomi, Lava, Karbonn, HTC, Datawind, started production of their handsets locally. The industry body said the Centre has removed Special Additional Duty (SAD) – a tax imposed to provide cushion from products purchased at zero duty – from components used for manufacturing computers, which compelled domestic manufactures to use imported motherboards that are cheaper. To encourage local production of computers, MAIT has requested the Centre to exempt all inputs, except populated Printed Circuit Boards, required for use in the manufacture of ITA(Information Technology Agreement)-bound goods from SAD. India is signatory to ITA 1 as a member of World Trade Organisation. Under ITA 1 agreement, member countries should allow duty free import of products falling under eight categories covering telecom, computers and semiconductors like mobile phones and electronic chips. MAIT said components used for manufacturing of PCBs or motherboards should have been exempted from SAD. The industry body has sought exemption of excise holiday for a further period of 10 years in Uttarakhand and Himachal Pradesh, as all units are already in operation there, including those units for which the exemption may have expired in 2013. “Likewise, any new units commencing production on or before March 31, 2016 may also be bestowed with central excise exemption for a period of 15 years. This will give the manufacturing sector the required boost to compete with traders,” Shirpurwala said. Cheetah Mobile, the world’s leading mobile utility provider committed to providing a safer, faster and simpler mobile internet experience, today announced findings from its latest global mobile security report focused on Android devices. The report details the growth of viruses, phishing sites, malwares, infected devices across major markets (including India), data leakages, and rounds out with security predictions for 2016. The Company’s annual security report is cumulative data based on 567 million global monthly active users and an overall install base of almost two billion users using Cheetah Mobile’s utility applications on their devices. o The number of Android viruses exceeded 9.5million, which is larger than twice the total number in the past three years. Compared with 2014’s 2.8million, the growth rate of 2015 is over 22%. o As it gains system-level privilege, Root Trojans can take complete control of the device and are very hard to remove. o With the popularization of mobile payment, the number of malwares targeting mobile banking has increased rapidly. o Thousands of companies and hundreds of millions of users have been affected by information leaks in 2015.
o From the Stage fright vulnerability which affected 95% Android devices to the wormhole compromising millions, it seemed like Android vulnerabilities would never end. China, India and Indonesia were the three most severely afflicted countries. Apart from large Android user bases, another reason of these countries becoming the worst-hit ones is that third-party app markets are prevailing in these areas, and most of these third-party app markets have been contaminated by malwares due to the weak monitoring of third-party app markets. The graph above represents the number of unique infections detected across all devices that Cheetah Mobile is present on in that market. Please note that this number doesn’t represent the total number of devices that Cheetah Mobile’s applications are installed on in that particular country but only the individual devices that were infected over the span of 2015. In the graphs below, one each for China, the United States, and India, the numbers showcase the number of infections overall. The data here means that a single device could have multiple infections multiple times over the course of a year. A Trojan horse or Trojan is a type of malware that is often disguised as legitimate software. Trojans can be employed by cyber-thieves and hackers trying to gain access to users' systems. Users are typically tricked by some form of social engineering into loading and executing Trojans on their systems. The manner in which they behave differs – some hides in users’ mobile devices to steal text messages, contact information, location data, and even personal photos. Others, like Ghost Push, obtains root access to the affected device and installs more malicious apps and a never ending stream of ads. * New security features in Android 5.0 Lollipop and its successors are expected to make Android phones more secure. * As Google Play is available in China, Chinese app markets are expected to become more standardized and secure. * More effective steps will be taken by Google to enhance Android security in 2016. * Globally, mobile payment methods will be attacked more frequently. 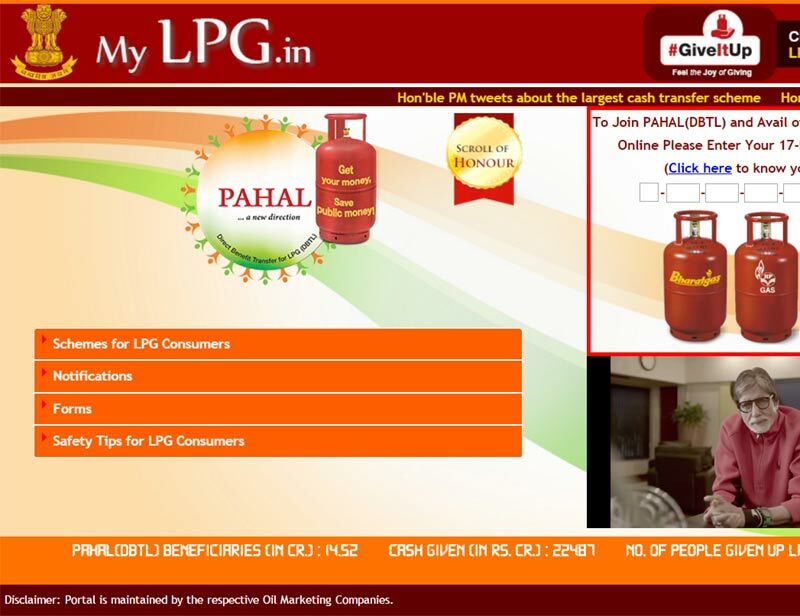 Now, LPG users can pay online for their cylinder refills on the website www.mylpg.in soon after booking their refill for delivery. This is the latest part of the online refill booking facilities that the three public sector oil marketing companies have introduced in the past two years. 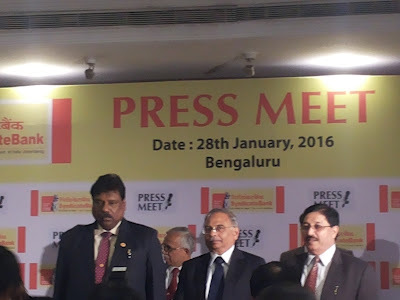 The facility was launched here on Sunday by Dharmendra Pradhan, Union Minister for Petroleum and Natural Gas. Pradhan said his ministry is also considering creating an EMI payment model for new gas connections bought by non-bpl customers. 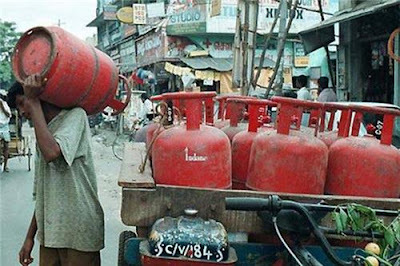 The ministry is already running a pilot programme that gives a 50 per cent government rebate to below poverty line families when they buy their first gas connection. In addition, to improve the supply chain, the government is working towards adding ten thousand more LPG distributing agencies, Pradhan added. Customers who buy domestic LPG cylinders from Indian Oil Corporation, Hindustan Petroleum and Bharat Petroleum can use the unified web portal to book cylinder refills, track delivery status, port the gas connection and receive the government subsidy by linking their bank accounts. The digitisation of the supply chain is also intended to increase the efficiency of LPG distributors. HCL Technologies, a leading global IT services provider, has announced a new IT infrastructure partnership with Alstom, a world leader in the supply of the most complete range of systems, equipment and services in the railway sector. HCL will leverage its IT infrastructure capabilities to provide workplace engineering services, roll out PC as a Service (PCaaS) for 30,000 users worldwide and enable local end-user support services across 360 locations in 62 countries. Additionally, HCL will establish a multilingual global service desk offering support for Alstom in 11 languages, including more than 50% French speaking users. These services will be delivered by leveraging HCL’s three global delivery centers located in Poland, Brazil and India. As part of this partnership, HCL will also set up the organisation’s Services Integration and Management (SIAM) function from conception, enabling Alstom to achieve "multi sourcing service integration." With extensive experience of core IT business across industries, HCL has made significant progress in becoming one of the most successful IT firms in the European market. 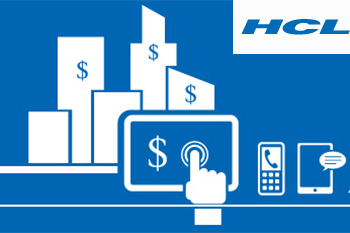 HCL's innovative delivery model provides significant savings and operational benefits to customers through a highly flexible, transparent and collaborative approach. HCL’s Infrastructure Services Division (ISD) has been delivering IT infrastructure services to global transportation and large manufacturing firms to reduce cost, improve IT efficiency, increase revenues and industrialize operations. Moreover, it helps its clients to focus on meeting the challenges of the market and growing their business by implementing cost-effective and timely responses to business changes by integrating IT systems and business processes, optimizing the utilization of IT delivery processes, resources, applications and infrastructure, and predicting visibility across supply chain and reliability into operations. Areca Nut, one of the important commercial crops of the state is often cursed for its association with pan masala, gutka etc. Traders and middlemen were playing with the areca nut prices and thus with the life of growers by creating rumors about the gutka ban etc. Developing alternative areca nut products is the need of the hour to stabilize the market and ensure healthy price for the growers. Presently more than 6 lakh farmers’ families are depending upon areca nut. Now a young researcher from the Shivamogga district of the state have developed an unique health product by using the areca nut as the raw material. It is for the first time in the world Areca Nut tea has been developed. This research expected to expand the areca nut market and stabilize the price. 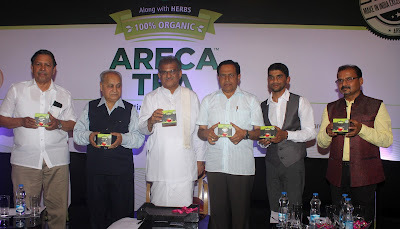 Areca Nut tea, a brain child of young pharmacy graduate Nivedan Nempe all was released to the market on Friday by Padmabhushana Rajasri Veerendra Heggade. Highlight of this new invention which was selected for the Make In India Excellence Award by the All Indian Technical Management Council (AITMC) as the innovative product of the year 2014-15 is approved by the The Food Safety and Standards Authority of India (FSSAI). Arena Nut tea is marketed in the form of ready to use Tea bags which consist of processed Areca Granules along with secrete Ayurvedic herbs. Areca tea is sweet to taste even without sugar as areca gives natural sweetening. Areca tea has got natural aroma of areca as well as flavor of areca. As areca nut contains tannin, polyphenol, fatty acids and mineral contents it has several health advantages compared to traditional tea powders. As areca tea high parentage of tannin, tea concept has been developed since tannin is the main content of regular tea. Areca nut has been processed in six different steps to remove alkaloids leaving all other health beneficial components as it is. Tannin and other health beneficial molecules dissolve in water and can be used as tea. Research has proved that areca nut tea works as appetiser, anti oxidant, antidepressant, anti aging etc. As a result areca tea works against ageing, diabetes, depression and other problems. 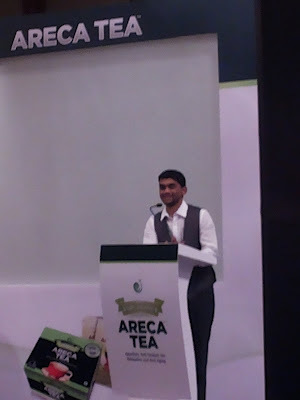 Nivedan Nempe, who have developed this areca nut tea has a humble background. Nivedan who was born and brought up in Mandagadde village in Shivamogga district, studied in government Kannada medium primary school high schools. Later he pursued his degree in Pharmacy as he was keen towards research, especially in Indian heritage medicinal methods. When he was in final year of pharmacy, he presented a paper in international Pharma conference in Gulbarga and he was offered by Swinburne University of Technology for Higher education in Good Manufacturing & Management Technology. He travelled several Australia, New Zealand, Bangkok, Hong Kong, Singapore, and Dubai where he worked for several companies at different levels. But as his life's motto was serving the mother country, he returns to India and launches his own company called Mystic Aromatics to develop new concept-based product. First product developed by his company was Recycled paper Air fresheners. Now he is launching this Areca Nut tea which expected to bring smiles back on the lakhs of areca nut growers especially from Malnad region.